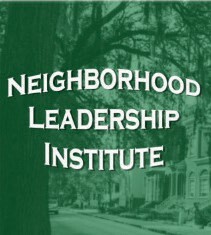 The City of Savannah Human Services Department will host a workshop, Lessons for Leaders Saturday, March 23, 9:30 a.m. – 12p.m. at the Savannah Morning News Auditorium,1375 Chatham Parkway. Presenters are Antwone Smoak, Savannah Economic Development Authority (SEDA) and Crystal Commodore, formerly of the Savannah Mediation Center. Topics will include shaping the future; role of the executive board, getting millennials engaged, turning problems into projects and keeping meetings on track. The event is free and open to the public but space is limited so registration is required. To register go to www.savannahga.gov/NLI or call 912/.651.6520.